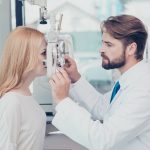 Does Laser eye correction surgery work? Its incredible to think that you could be wearing glasses or contact lenses to see clearly today and yet tomorrow, you could be seeing perfectly without them. This truly is the modern day medical miracle when it comes to laser vision correction surgery. There are different methods and lasers being used for corrective laser eye surgery but at Goldberg Centre for vision correction we are proud to only be offering the method which we feel is the safest, least uncomfortable and most successful known as Lasek. 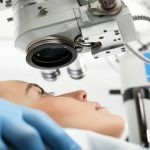 Not to be confused with Lasik, where an actual incision to the outer layer of the eye must be made prior to the laser treatment. With the Lasek method, which we use, we do not have to make any incision. This means less discomfort, quicker healing times and almost no risk of infection. In your first initial consultation to determine if you are a candidate for Lasek and to answer all of your questions you will be meeting with the doctor who will be performing your laser surgery. From your very fist visit to your follow-up check ups after the surgery you will have the pleasure to deal with the same doctor every step of the way.